Mike Taylor came on late in this May 1988 game and he couldn't keep the runner from scoring. Taylor's Gastonia Rangers went into the final frame against Sumter in a scoreless tie, according to The Sumter Item. After the starter put runners on second and third with no outs, Taylor induced a pop-up. He then gave up a single that knocked in the winning run. Taylor played for Gastonia that year in his second professional season. He went on to play in four seasons. He never made AAA. 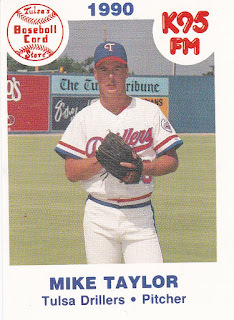 Taylor's career began in 1987, taken by the Rangers in the 12th round of the draft out of McLennan Community College in Texas. At McLennan, Taylor earned All-American honors in both 1986 and 1987. He also saw himself drafted twice previously, by the Orioles and the Brewers but he did not sign. He started with the Rangers at single-A Gastonia. He got into 13 games there, starting three. He had a 4.46 ERA, one win and two saves. Taylor returned to Gastonia for 1988. In 47 mostly relief outings that year, Taylor went 8-9 and saved seven games. He also had a 3.44 ERA. He moved to single-A Port Charlotte for 1989. He went 6-4 there over 43 outings, saving eight. He lowered his ERA to 2.55. 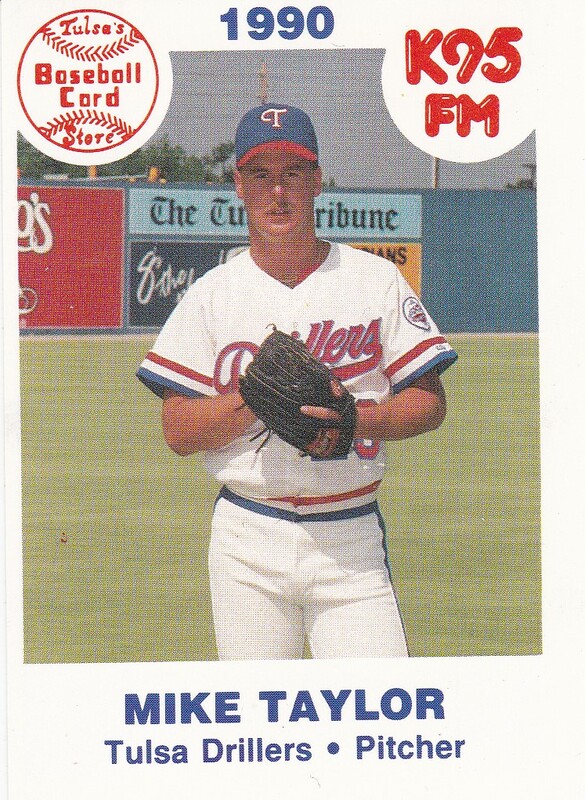 Taylor then moved up to AA Tulsa for 1990. He gave up a run in two innings of work to finish out the spring. Overall, he went 1-6, with a 5.79 ERA in 33 outings, nine starts, ending his career.